The Lib Tech T.Ripper C2 Snowboard packs a big punch in a design that's been fine tuned for the smaller riders out there. C2 hybrid camber and an aspen/paulownia core bring strong and durable pop and control to the hardpack, steeps, and everything in between. Magne-Traction® edges provide excellent edge hold in all conditions. 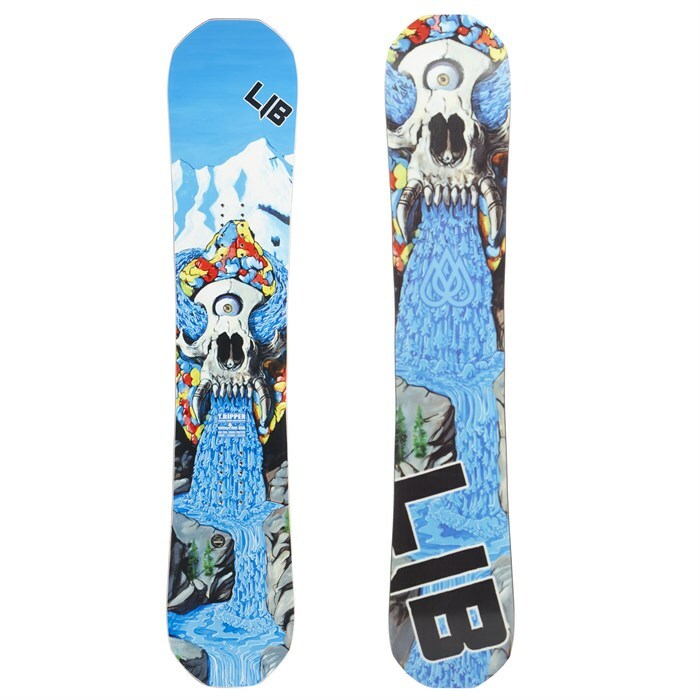 Lap the park, pop off the side hitters, and unleash a dominant freeride flair with the Lib Tech T.Ripper C2 Snowboard. C2 Technology  Lib Tech worked with Travis Rice to perfect this well-balanced all terrain contour profile. Mild rocker between your feet with cambers to the tips and tails means full contact and control in all conditions so you can float, rip, and jib with precision and confidence. Soft-Medium Flex  A versatile, soft-medium flex is perfect for rider progression in the park, on the hardpack, and all over the mountain. Original Power Construction | 75% Aspen / 25% Paulownia  Light. Environmentally nice. Strong. 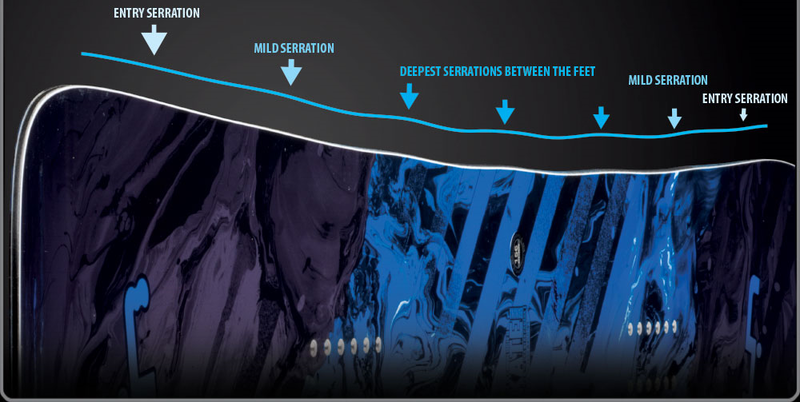 Magne-Traction®  Strategically located edge serrations provide unreal edge hold and control in all conditions. Turns ice into powder.